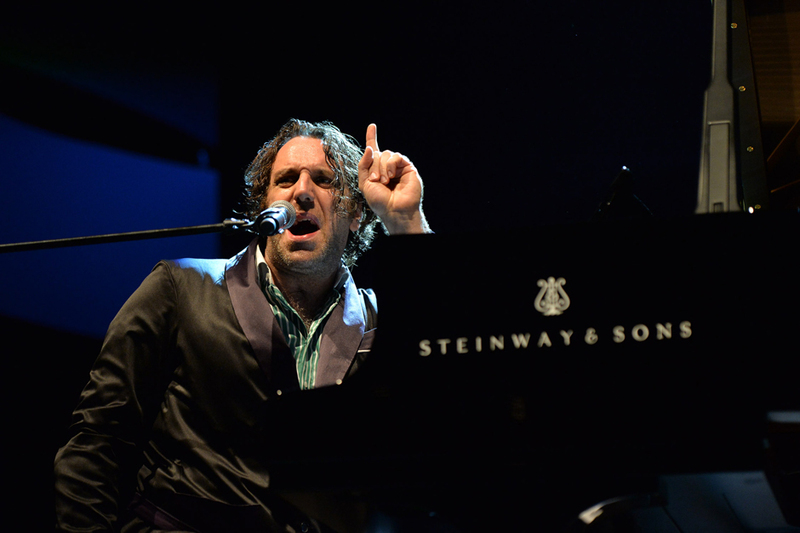 Canadian pianist and entertainer Chilly Gonzales is known as much for his showmanship as for his intuitive touch on the piano. “Gonzo” holds the Guinness world record for the longest solo concert, which clocked in at over 27 hours. He has performed and written songs with the likes of Jarvis Cocker, Feist and Drake, and was awarded a Grammy in 2014 for his collaboration on Daft Punk’s Random Access Memories. Gonzales also composed “Never Stop,” a global hit for the inaugural Apple iPad campaign. Since the release of his Solo Piano II album, Gonzales composed the best-selling book of easy piano pieces Re-Introduction Etudes, produced and released Octave Minds, the piano-meets-electronica album together with Boys Noize and, most importantly, devoted himself to finding a modern take on chamber music. Elements of rap, ambient, easy listening and the avant-garde all co-exist in Gonzales’ musical universe.